I finally made my first shawl! I found the construction really interesting and easy to do. 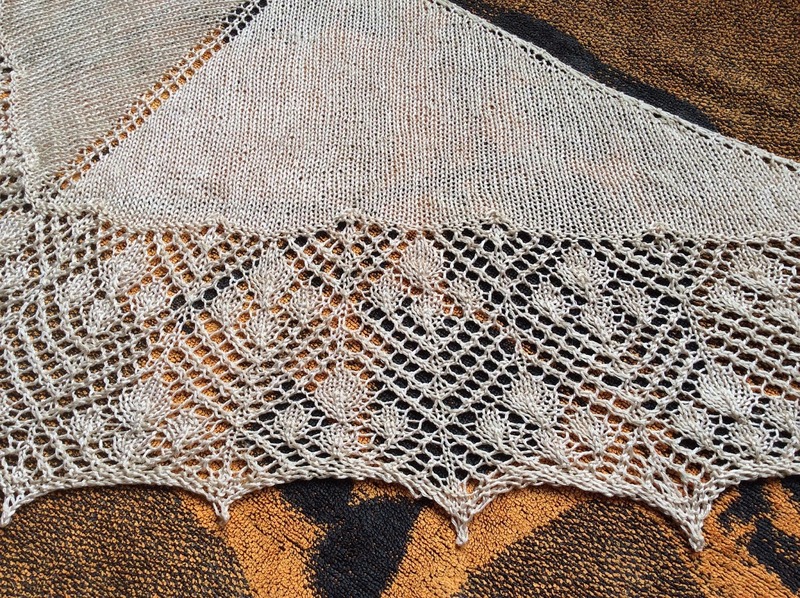 The lovely triangular shape is made by increasing at the middle and ends of each row. It was a really well written pattern, very clear and easy to follow. The lace section took easily three times as long as the stocking stitch section, but I found it pretty interesting! It's always fun seeing the pattern emerge. 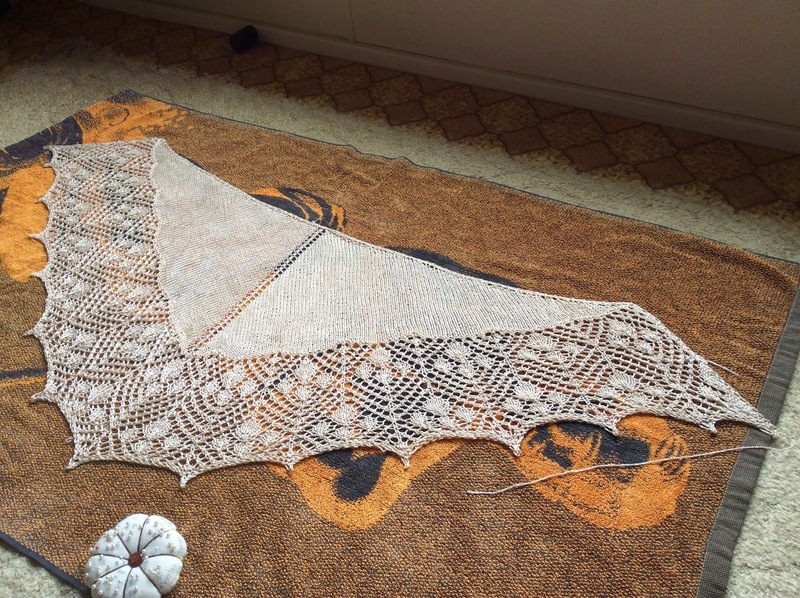 These photos are of the shawl blocking on a towel. 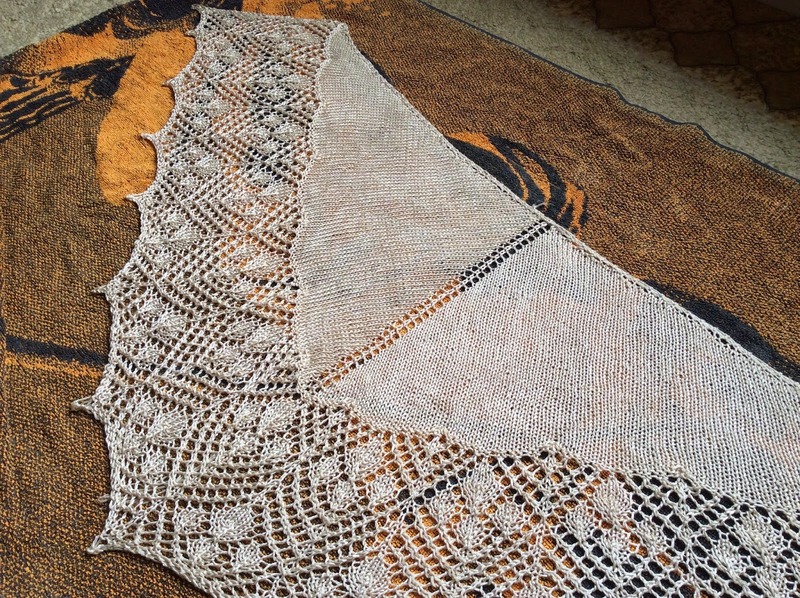 It was incredible how much better it looked after blocking! 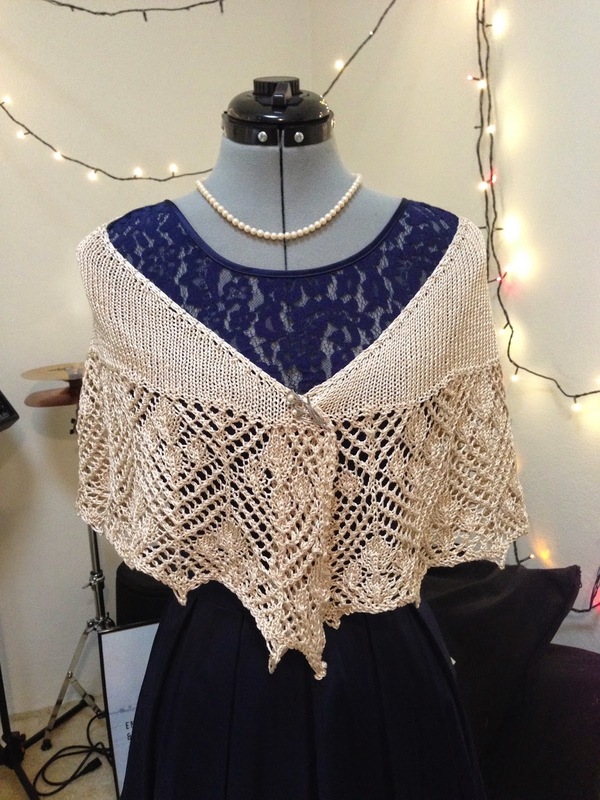 I made this shawl to go with a particular dress. We are going to Japan at the end of this month for our friend's wedding on the first day of spring. I had read some articles on what to wear to a Japanese wedding and they all said WEAR A SHAWL! 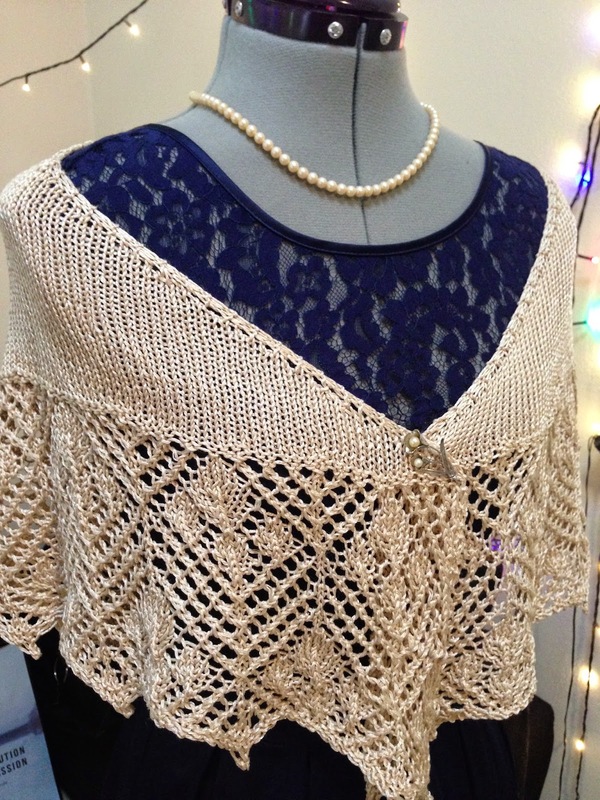 I think I might have been bitten by the shawl bug! I enjoyed knitting it SO much, I want to make more now. Oh, this is just beautiful! 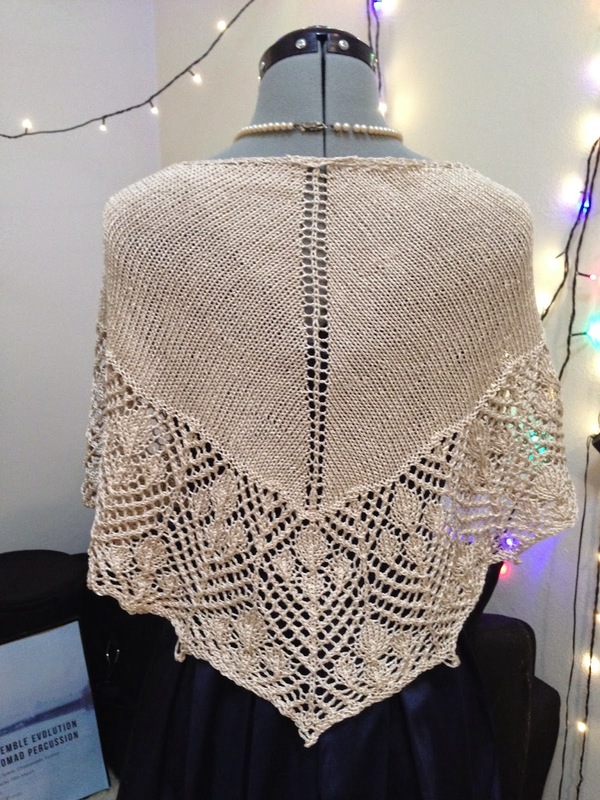 You've done an amazing job and I've no doubt that you will look stunning in this shawl. I hope you have an awesome time in Japan.